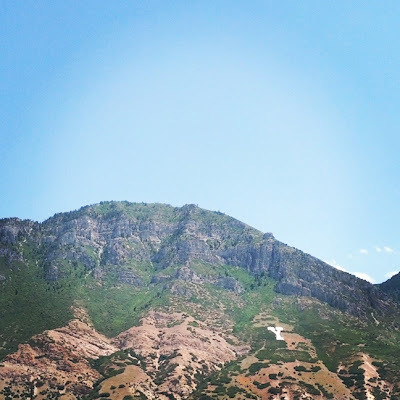 On our last day in Utah we woke up early then drove down to Provo so we could say Hi and Goodbye to my beloved grandparents. We stopped at the Warner's first. I have soooo(oooooo!!!) many wonderful memories of and in this house! Grandpa's favorite picture of himself and his dog tag sitting inside the bottom right corner. I have a picture of Fox with each of his 6 living great-grandparents and made a layout so he can always remember them. 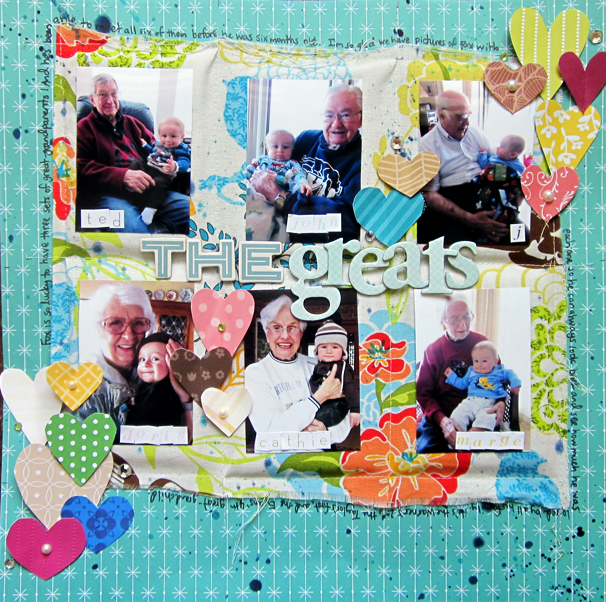 It's one of my favorite pages - this is what scrapbooking is all about! I want to do the same kind of layout for Jane! 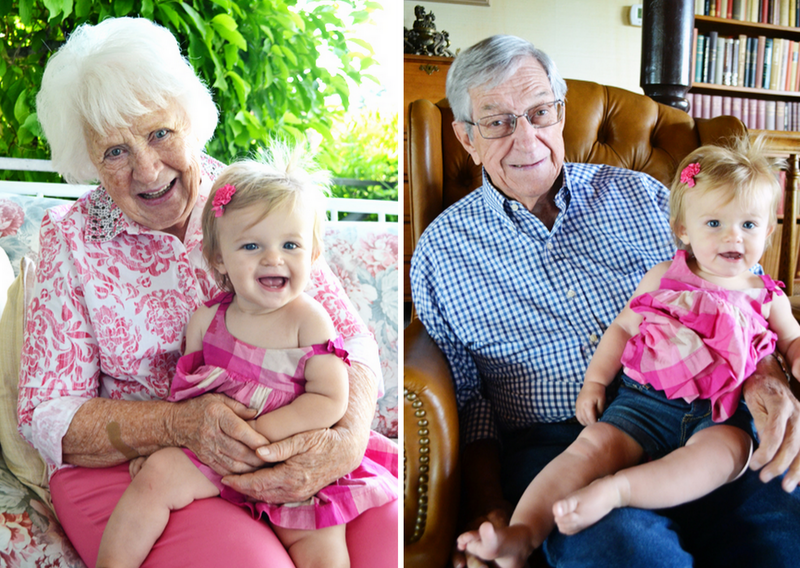 So here she is with Great-Grandma Doris and Great-Grandpa Ted. Grandpa Tedder the Gooder and Better is slowly losing his memory. He never once said my name or asked who I was, but he was happy and smiley and so sweet with Fox and Jane and showed them all his classic jokes like pulling off his thumb, stealing their noses, and scratching the kids' knees while saying, "My knee itches!" Oh Grandpa! Always so funny! As Grandma Doris was walking us outside, Grandpa Ted quickly followed. Deep down he must have known who we are because he and Grandma (and I!) started crying as we drove away. It was really really really hard and sad to say goodbye. It still brings tears to my eyes to think about. I love my grandparents sooooo much. Grandpa assured me he'll be around in 4 years. I sure do hope so! 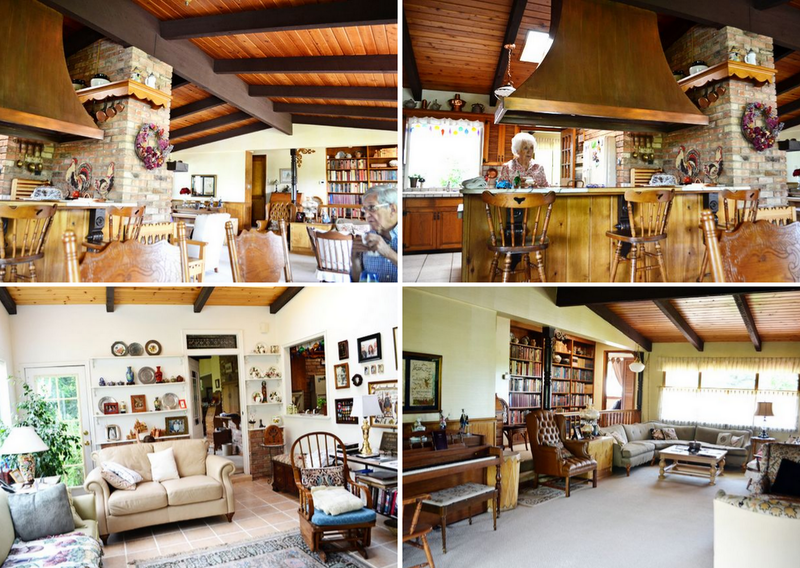 Then we went to the Taylor's house. 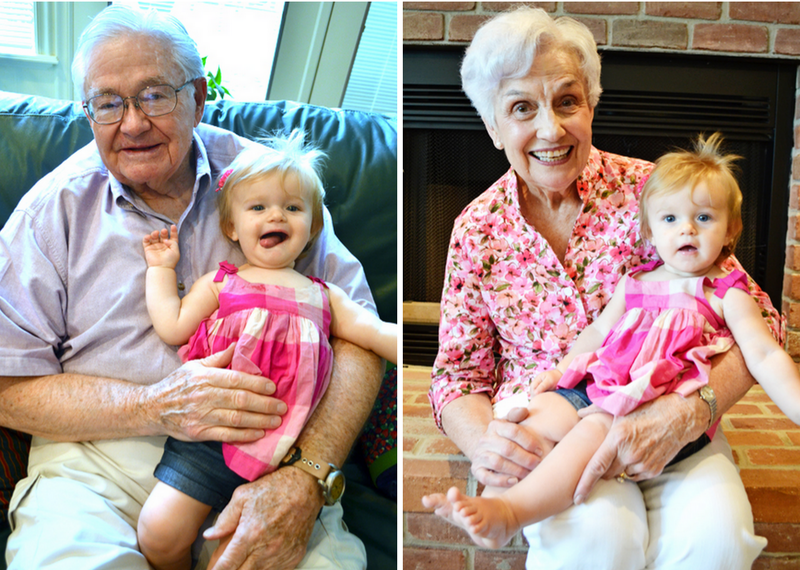 Here's Jane with Great-Grandpa John and Great-Grandma Cathie! They are doing well and I look forward to them being around for a long time still! Then Chris's mom and dad, Bethany, Evelynd, and Ethan showed up to say hi and goodbye to the Taylor's, then we went to Burger Supreme for lunch. It's our favorite burger place in all of Provo. I got a gyro and sweet potato waffle fries. Everything tasted as good as it looks! After lunch we headed to our old stomping grounds - Brigham Young University! I loved the footloose and fancy free days of college! We went to check out if our dorms were still there. Chris's is! But my dorm, right across the street from Chris's, is now a big apartment complex. They're slowly tearing down all the old buildings and replacing them with monstrous new buildings. It's great for all the new students, sad for my nostalgic self to see memories torn down. 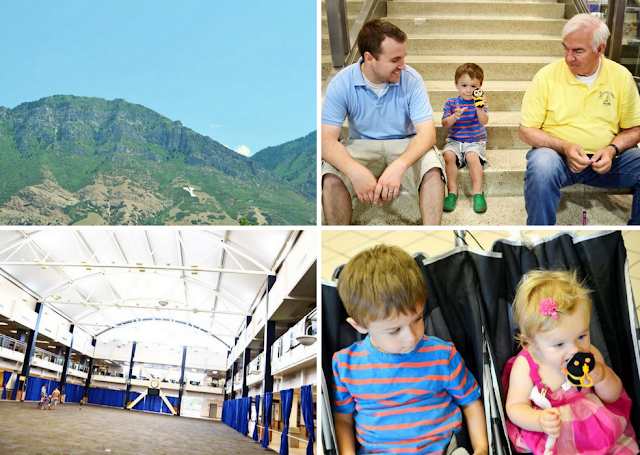 No way, Chick-fil-A is coming to the BYU Cougareat??!? So totally jealous! We walked around the BYU Bookstore for a long time then we all headed to the airport to fly home to our various destinations. We had a wonderful time at the annual Evans family reunion! We can only hope to attend next year's, wherever it may be! I love that you did a layout of Fox and his grandparents--SO cool! I know what you mean about tearing down the old to make room for the new, we went to NAU and they are doing the same...it looks AWESOME! The stories of your Grandpa with the kids are so sweet! And that is such a cute scrapbook idea; I wish I had your creativity! P.S. If it makes you feel any better, my dorm is gone too. Last time I went up there it was a giant pile of rubble. So sad! So many memories gone--but I bet those new giant dorms are way cooler for the new students.